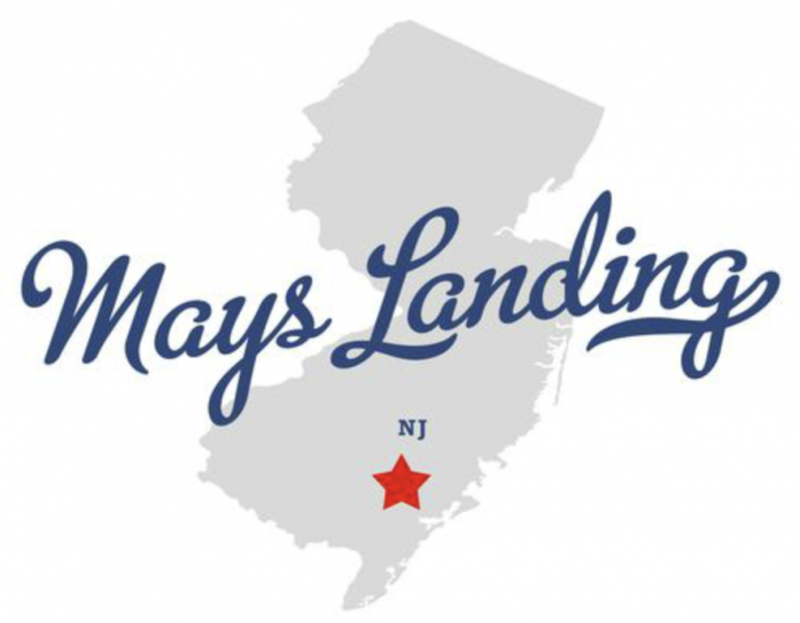 DJ’s Painting is proud to announce that we have been serving customers in Mays Landing, NJ since the birth of our company in 1986! 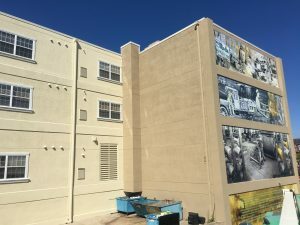 For those of you who do not know what DJ’s Painting can do, take a look at our extensive service list below! 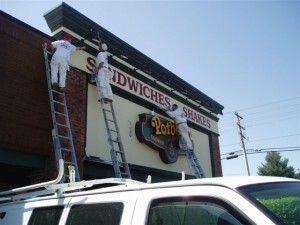 We range from painting both residential and commercial properties, stucco repair, soft washing, dry fall coatings, and so much more! 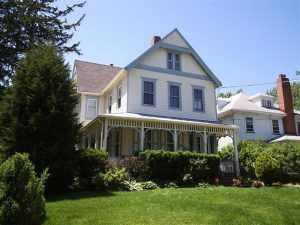 So, stop stressing over your projects and let DJ’s Painting help you get the looks and quality that you desire! Contact us today for a FREE quote! 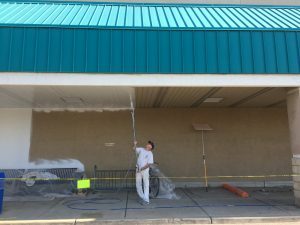 Exterior soffit painting with acrylic DTM on commercial store in South Jersey.